Manufacturer & Exporter of Duct Elbow. Our product range also comprises of ANSI Flanges, ASME Flanges and Pipes ERW/ Seemless. 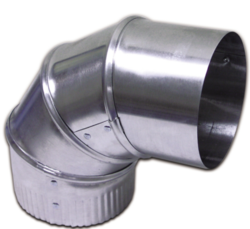 Owing to our in-depth industry experience and precise knowledge of this domain, we are offering an outstanding assortment of Cooler Ducting Elbow. 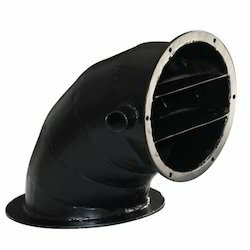 We are one of the trusted companies of Welded Duct Elbow. Our products are enormously admired in the market owing to their top features. Due to our immense capability in this work domain, we have brought forth a huge variety of Elbow Duct. - Gauges : 26g to 18g. We are proficient name in the industry involved in offering optimum quality of Spiral Ducting Elbow.